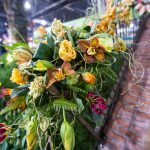 The Special Board Meeting Conference Call originally scheduled for Tuesday, April 16, 2019 at 4:30 p.m. has been cancelled. 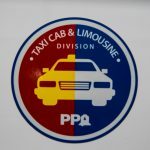 The Board of the Philadelphia Parking Authority will hold a Special Board Meeting Conference Call on Tuesday, April 16, 2019 at 4:30 p.m. in the Board Room of the Authority’s Headquarters, 701 Market Street, Suite 5400, Philadelphia, PA 19106. 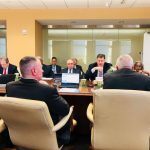 The Board of the Philadelphia Parking Authority will hold a Special Board Meeting Conference Call on Monday, March 11th, 2019 at 9:00 am in the Board Room of the Authority’s Headquarters, 701 Market Street, Suite 5400, Philadelphia, PA 19106. 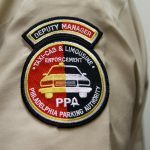 The Board of the Philadelphia Parking Authority has changed the date for the regularly scheduled November Board Meeting to Tuesday, November 27, 2018 at 10:00 am in the Board Room of the Authority’s Headquarters, 701 Market Street, Suite 5400, Philadelphia, PA 19106. 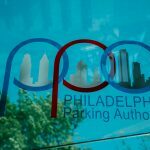 The Board of the Philadelphia Parking Authority will hold a Special Board Meeting Conference Call on Wednesday, September 26, 2018 at 1:00 pm in the Board Room of the Authority’s Headquarters, 701 Market Street, Suite 5400, Philadelphia, PA 19106.